Consistently the worst take on sports. 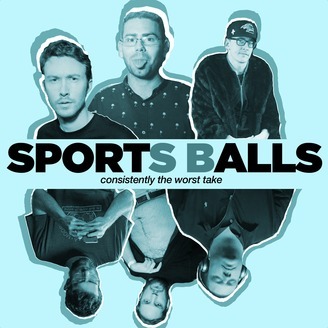 A rotating cast of six comedians (and guests) from all over, living in New York, take on the week in sports, with no filter. 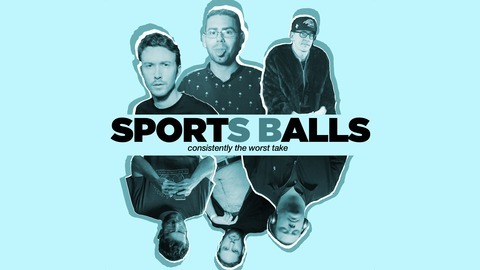 Also a web series: http://www.youtube.com/sportsballsshow And on twitter: twitter.com/sportsballsshow. Kyle, James, and Jake are joined by Will Winner of The Good, The Dad, and The Ugly podcast to talk NBA Finals, NHL, Harper, Tiger, Jake throwing out the first pitch at a minor league game, and more! A lot of talk about the insecurity of Bulls fans. A lot. Crude jokes are made. Awful takes are defended. The usual. Please subscribe and rate the pod on iTunes, Stitcher, or wherever you found this. 05.04.17 - NFL Draft Recap, NBA Playoffs, Too Much on the BIG3 League, Baseball Riddles!